SO MISS THANG, YOU ARE QUITE HANDY WITH THE ‘OL EGGS, FLOUR AND WATER AIN’T YA? WHEN AND HOW DID YOU DISCOVER YOU HAD THIS TALENT? Ever since I was little I have liked to bake. 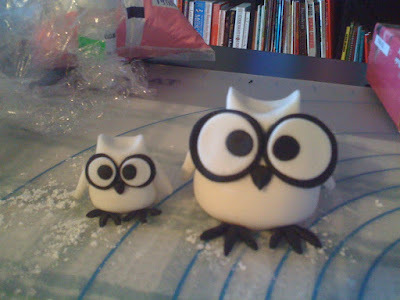 I did a cake decorating class in high school, which I aced. It was loads of fun. Then got offered an apprenticeship as a pastry chef when I was 15, which I stupidly turned down to complete year 12. Idiot! 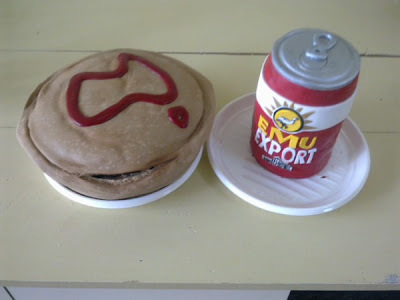 I think my Emu Export beer cake was pretty good, considering I made it free hand, no design or template to go off. I am my own toughest critic, so the best is yet to come. WHAT IS YOUR FLAVOUR OF CHOICE? Can’t go past good old chocolate!!! Most of my cupcakes are chocolate and hazelnut, or white chocolate and almond. The ground nuts in them keep them moist and fluffy. The bigger cakes have to be make out of dense cake like mud cake to keep them sturdy. But I can make just about any flavour, its all about experimenting. Black. Sounds a bit goth, but it just looks so shiny like plastic … like you should not eat it, but you can! And pink, its pretty. YOU DEFINITELY DON’T EAT YOUR WARES, WHAT’S YOUR SECRET FOR YOUR TINY FRAME? WHO WOULD YOU LIKE TO BAKE CUPCAKES FOR AND WHAT WOULD YOU MAKE THEM? Johnny Depp … then he might want to marry me…. he he. 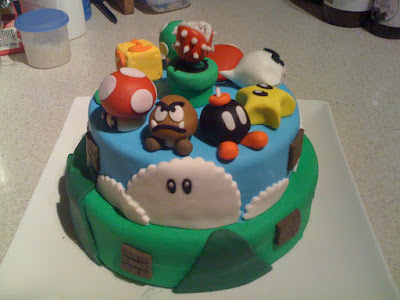 I look at a lot of cakes on the internet which gives me ideas, and I just make things that I like. I want to make a Rubik’s cube, a hippopotamus (why not?) and a record player for a certain DJ whose birthday is coming up in April. Any suggestions are welcome! HOW’S THAT OWL? PRETTY OBNOXIOUS OR WHAT??! If you can get away with it … go for it! THE LADY IS AS FRESH AS HER CAKES YO! CHECK OUT HER BLOG HERE. To commision her for your own imaginitive delights she can be contacted at shelleymp11@gmail.com. What with this guy going on all over the place there as well. You'll like him. He accepts cupcakes. Someone sent it to me on Facebook so can't claim any credit… but I love this kind of guerilla art. To me it's a major human kindness to do this for one's fellow beings. I'm from Cape Town but often think of spending time in Oz… you are having a disgustingly good time there, this I can see.